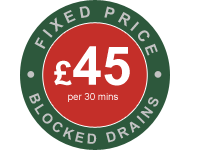 AlfaClear Drains have been running for over 25 years. All of our work is fully guaranteed and carried out by fully trained engineers. At AlfaClear Drains we take pride in all of the work we carry out and have established a good work ethic over the years. We use all the latest equipment and service all areas in and around London.